Make the most of this rare opportunity to see inside one of our Built Complete Homes. The Malbec is open Saturday & Sunday 18-19 November 2-4pm and Saturday 25 November 2-4pm. Also open by appointment, call Gaynor on 0401 015 918. Be inspired from this technologically advanced design, which features a 10-star energy efficient rating, Tesla battery, state-of-the-art lighting and push technology. This dream home is open for a short time only, courtesy of the home owners – you don’t want to miss this rare opportunity. Further to our Contemporary Interior Design Guide we thought there’s no better time to talk about its cousin, Modern Interior Design. With a huge focus on function, modern interior design is clean, stylish and very popular and it’s also the easiest type of interior design that is able to be personalised. Here are our top four tips to help you bring Modern Interior design to life in your home. By this we don’t mean only the essentials, we just mean that you will need to keep your space as clutter free as possible. So think of clean lines, polished and smooth surfaces and neutral colour tones. Studies have actually shown that clutter can lead to stress so let us help you make your life a little less stressful. This sounds obvious but we often find then when we’re helping our clients design their houses, interior design can sometimes overtake the functionality of your rooms. So remember that things in each room should always remain easy to access. Let’s use your Kitchen as an example, you want to keep your bench tops as clutter free as possible so your workspace is not cluttered, just like you should keep the kettle close to the tap and the cutlery close to the dinnerware. Technology is the new artwork in Modern design homes. Make sure your TV is streamlined, the DVD player matches your finishings and your computers as thin as possible. You don’t need to spend a fortune buying top-of-the-line products, but you want your electronics to stand out and fit in as much as possible. Now that your space is full of clean lines and has been de-cluttered it’s time to make the space your own. Add some colour to your neutral colour palette by introducing a throw rug or some cushions. A great way to carry this pop of colour through your home is by placing photos or subtle accessories In key areas of your home. Currently Modern Interior Design is our favourite style to work with. Because it is so versatile and easily customised it is not difficult to redesign your existing house around these guidelines. Get in touch with us if you need help designing your space, we’re here to help! Author Danielle SpaseskiPosted on September 21, 2017 September 26, 2017 Categories UncategorizedLeave a comment on Do It Yourself guide to Contemporary Style. Dual occupancy homes are growing in popularity across Perth right now and it’s because of the potentially huge financial and lifestyle benefits. It’s easy to dismiss the idea of a dual occupancy home but it’s much cheaper to build a dual occupancy home than to build a second home as an investment or to house your elderly parents/visiting family members. At Inspired Homes WA we’re committed to future proofing your home so we have compiled a list of reasons a dual occupancy is worth considering. Thanks to the internet it’s easier than ever to bring extra money into your household and dual occupancy homes are perfect for this. Our clients have reaped the financial benefits of their dual occupancy homes by renting out the additional areas on Airbnb and other platforms. Dual occupancy homes are PERFECT for busy teenagers that are studying for exams or wanting to have their own space. While the additional space remains completely accessible by all household members think of this as the ultimate teenagers (or parents) retreat. Whether you’ve got family visiting or some friends coming over the additional space offered by a dual occupancy home gives you the peace of mind knowing that overnight guests are going to be comfortable and in their own space. Did you know that Perth has a shortage of suitable homes for the elderly? The most common reason we build dual occupancy Homes is because of our clients need to take care of their parents. Rather than putting your parents in a foreign and uncomfortable environment you can have your parents live alongside you and your family. They have their own space and can live as independently as they wish giving you the peace of mind that you’re right next door. All of our designs are able to be customised for dual occupancy. If you want to learn more or to talk to us about dual occupancy Homes get in touch today. Fall in love with Essa Stone! Part of our Built Complete guarantee is our promise to build all of our homes with good quality materials so, drum roll please…let us introduce Essa Stone. Owned by Laminex Australia, Essa Stone is our go-to company for high quality stoneware. Their range of designs is huge and have the look of luxurious, natural stone. Their range varies from classic european styles all the way to amazing, modern industrial styles. Since they manufacture their own stone it gives us some degree of flexibility when it comes to customisation. From time to time we’re able to choose from a range of finish options like matte finishes, gloss, ingenious and weathered looks. We all know that real marble bench tops are quite porous, since Essa Stone is manufactured to survive the day to day happenings inside your kitchen it is going to stand the test of time. If you do stain your benchtop the Essa Stone website is full of tips and tricks on how to clean and care for your stone. If you haven’t already, check out the Essa Stone website here – http://www.essastone.com.au/. Author Danielle SpaseskiPosted on September 6, 2017 Categories UncategorizedLeave a comment on Fall in love with Essa Stone! Let’s make Hamptons Style HAPPEN! If we’ve noticed anything recently it is that the classic Hamptons Style is so in right now and why not? It’s fresh, it’s beachy chic and perfect for Perth. We’ve been building and designing homes for over ten years now and when it comes to design tips, no one knows more than our Operations Manager, Danielle. We managed to pull her away from her desk and pick her brains on Hamptons Style living (and they’re pretty good) read her tips below! The trick here is to not use too many of the colours above. You need to pick one of the bullet points above and stick to it. Of course you can subtly mix them like the neutral creamy tones with a bit of bleached timber but if you mix too many of them you will have a Hamptons disaster. Anyone with a Pinterest account knows that balancing a room symmetrically is key. You can’t balance a room without a good focal point that brings the entire room together and the best way to do this is start with the bigger pieces (like your couch). Make sure your couch is big and inviting, you don’t see small, hard looking couches in all those fabulous Hamptons homes right? So choose a soft coloured lounge suite that just wants to come over and take a nap. Now that you have your hero piece you can balance the room with some well styled key pieces. For the perfect Hamptons Vibe you need to mix some contemporary pieces with rustic and eclectic pieces like lamps, display boxes and trinkets. Now for the fun part, accessorising! Add some personality to your house with throw pillows, rugs, baskets and vases that all encompass a sense of coastal living. You can also warm up your room with a fabulous lamp. Now that you have all the tips you need to create the perfect Hamptons look in your home you can go shopping! Don’t forget to share your before and after photos with us, we can’t wait to see them! Author Danielle SpaseskiPosted on September 6, 2017 Categories UncategorizedLeave a comment on Let’s make Hamptons Style HAPPEN! We are thrilled to kick off this year’s HIA award season by winning the 2017 HIA Kitchen and Bathroom – Livable Kitchen of the year award! Obviously it goes without saying that we couldn’t do it without our team. They shape our company for the better everyday and we are proud to stand with them in accepting this award. Don’t think that we built these amazing features into this kitchen for the sole purpose of winning awards. Every project we take on comes with our Built Complete promise which means that we include higher quality products and a bespoke design feel all the time which is what sets the award winners apart from the runners up. 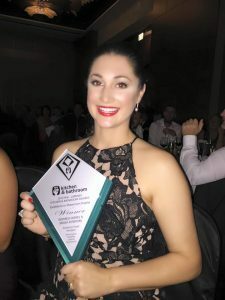 Inspired Homes WA is so proud and humbled by this award, we’ve got our fingers crossed for the rest of the award season so stay tuned for what we are hoping is a very successful year for our team! Author Danielle SpaseskiPosted on September 1, 2017 Categories UncategorizedLeave a comment on Inspired Homes wins again! 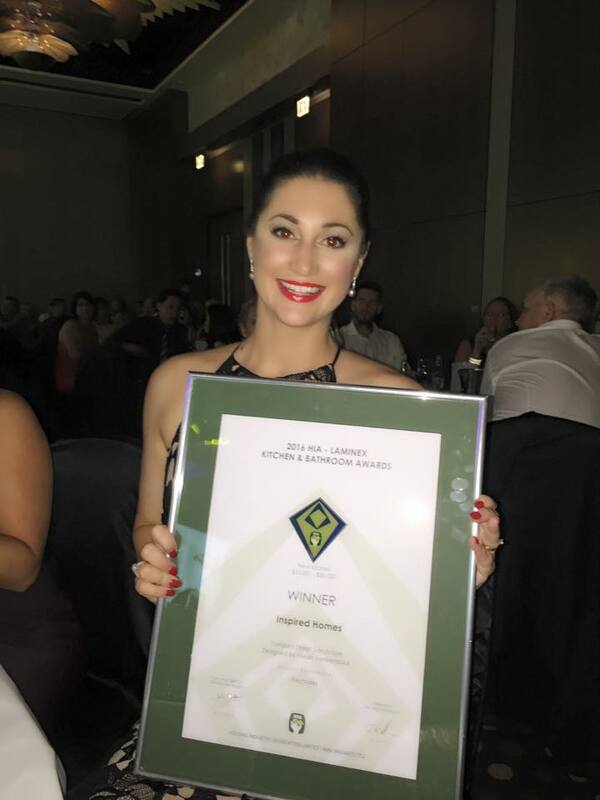 Saturday night saw the industries best descend upon the Perth Convention Centre for the 2016 HIA Perth Housing Awards. WINNER – Small Lot Housing $400,001 to $650,000. FINALIST – Townhouse Villa $300,001 to $450,000. Saturday night saw the industries best descend upon the Crown Astral Ballroom for the 2016 HIA-LAMINEX Kitchen & Bathroom Awards. FINALIST – Kitchen of the Year! This 4 day conference was held on the beautiful Hamilton Island and was concluded with the biggest event on the HIA’s calander, the 2016 HIA Australian Housing Awards. 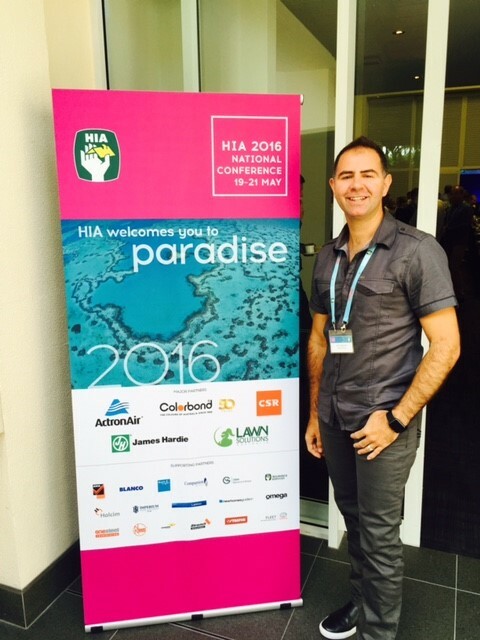 This 4 day conference was held on the beautiful Hamilton Island and was concluded with the biggest event on the HIA’s calendar, the 2016 HIA Australian Housing Awards. 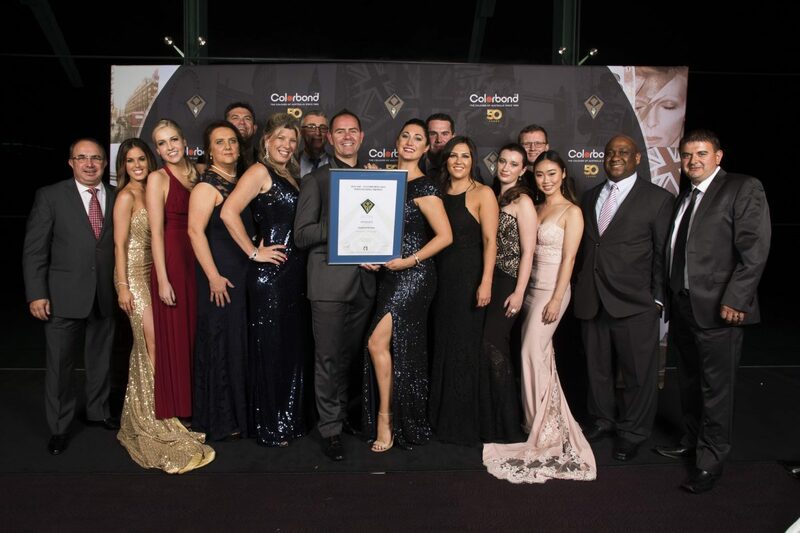 The best of the best were in attendance from all over the country and we were so honored to be competing on behalf of WA for the title of Apartment of the Year! It was an amazing night, and we look forward to hopefully representing WA in future award sessions!